Our feet don't always get the respect they deserve and they should since most Americans log an amazing 75,000 miles on their feet by the time they reach age 50. Three-quarters of us, at some point in our lives, will endure foot pain. Everyday discomfort shouldn’t be ignored as some foot ailments can be your first sign of more serious medical problems. 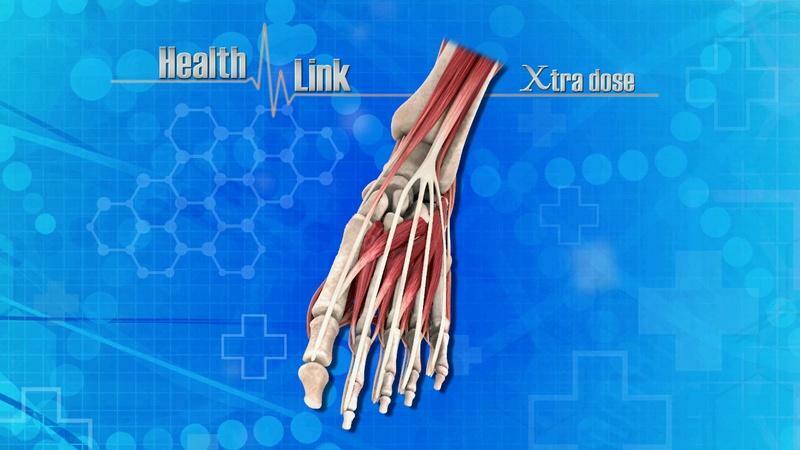 On Health Link we examine what causes aching feet and what you can do to stay active when your feet hurt. Learn more about proper foot health and how to prevent disease. QUIZ: How much do you know about foot health? Dr. Marc Ginsburg has been practicing Podiatric Medicine for 31 years. His practice is Capital Region Foot Care located in Albany, New York. Joe Coletta is a Certified Pedorthist at OrthoNY in Albany, New York. Severe foot pain led to Gail Donovan having 2 bunionectomies, 3 years apart. Gail says that recovery from the surgery is very challenging but well worth it in her case. James King was diagnosed with diabetes 20 years ago. Shortly after, he developed diabetic foot issues. Amanda Kladis was fitted with custom orthotics to treat the pain she was suffering from due to her flat feet. Stock Photos provided by BigStock.